Mandy Holloway, one of Refuge127’s cofounders, and her husband Shay currently foster two boys. The boys are Timmy (18) & Corey (17). 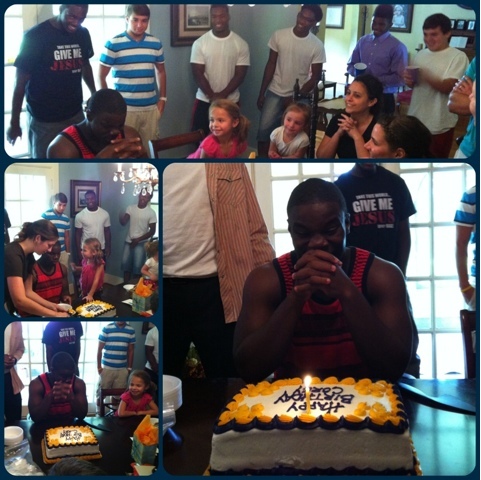 Corey recently had his 17th birthday on September 13th and on the following Sunday he had a birthday party. He had friends from school, church friends, and his whole new foster family there. Mandy & Shay Holloway have been foster parents before, they just love helping these children to have the lives that they would have otherwise not had. If you would like more information on becoming a foster parent, you can email us at refuge127@yahoo.com.